Expertenwissen - DODUCO - Fordern Sie uns heraus! Our world is the world of electrical contacts. Soon after it’s founding in 1922 Electrical Contacts became the focal world for DODUCO. In the previous two editions of the DODUCO Data Book this world was mostly limited to Europe. Since expanding its reach globally from the 1970s through the 1990s, including the start-up of manufacturing operations in China, the employees of DODUCO have concentrated on solving electrical contact problems around the world as the main task of their daily work. Ever increasing requirements on the performance of contacts in electrical switching devices, the need for highly reliable interconnections between electro-mechanics and electronics, the minimizing of precious metal usage, and the call for more environmentally compatible materials and manufacturing processes, defined in the past years the development of materials and technologies related to electrical contacts. These latest developments and repeated requests from our customers were the motivation to publish a new edition of the well known DODUCO Data Book. It includes now also materials whose properties and applications are mostly relevant in the North American and Asian markets. We also included materials which are needed for the manufacturing of contact parts and assemblies, but are outside of DODUCO’s product offerings. These include contact carrier materials such as copper and nickel alloys, as well as thermostatic materials and brazing alloys. Even so we felt it necessary to add more detailed descriptive passages about products and technologies, which expanded the original focus on mostly data tables and diagrams, we continue to keep the name Data Book. We updated and re-wrote most chapters for the third edition but changed to a slightly larger format of the book in order to improve its ease of use. We also expanded and updated the references at the end of each chapter which are meant to aid those readers who want to benefit from more and deeper detailed published resources. The third edition was published in English in 2010 under the name AMI DODUCO. Since later in that year our company is owned by the investment groups Tinicum Capital Partners II and JP Asia Partners and again is registered under the former name of DODUCO, however using a new corporate identity and image. This event served as the reason to again revise the Data Book and publish the latest version under the well known corporate name of DODUCO. 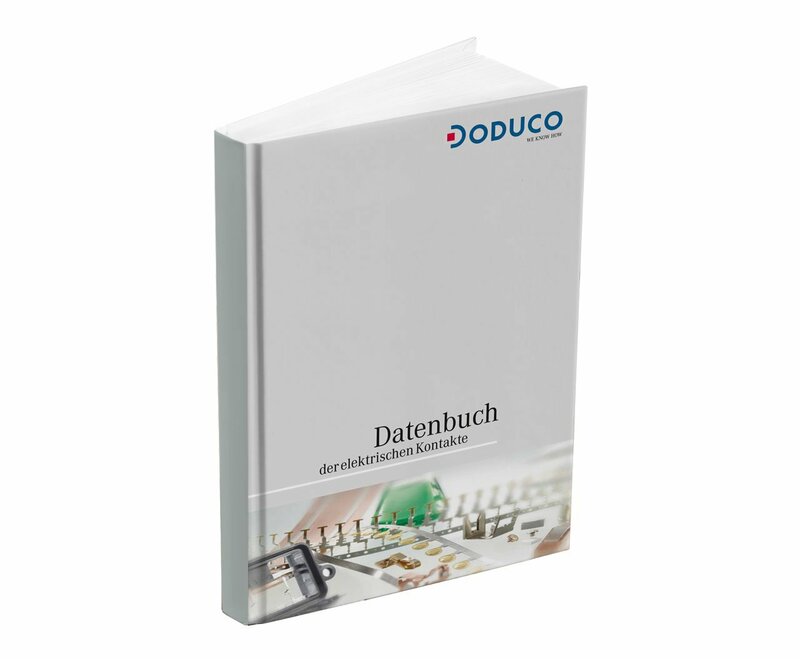 This new DODUCO Data Book again is meant to be a handy reference and data source for all those who need to work in the field of electrical contacts and their applications. It can however not be a full substitute for personal discussions with experts in electrical contact technology. For such technical exchanges we offer the direct expertise and advice from our application engineers and research and development staff who are ready to answer your questions. Please challenge us with your unique problems or special requests; because our world is the World of Electrical Contacts.